After a few days of staying in the beach camp, wherein they faced a series of challenges in order to obtain the precious Big Key that would open the Pinoy Big Brother house, the Batch 2 Teen Star Dreamers’ “takdang panahon” came during the kick-off event of the second Teen Edition of the Otso Season this weekend. To welcome the young aspirants, the first Adult group of this season, including their batch’s Big 4, opened the event by vigorously dancing to Yeng Constantino’s hits “Pangarap Lang” and “Time In”. As soon as their number was over, hosts Toni Gonzaga, Alex Gonzaga, Kim Chiu, and Robi Domingo emerged to the stage to greet the audiences and to quiz Team L.A.Y.F. 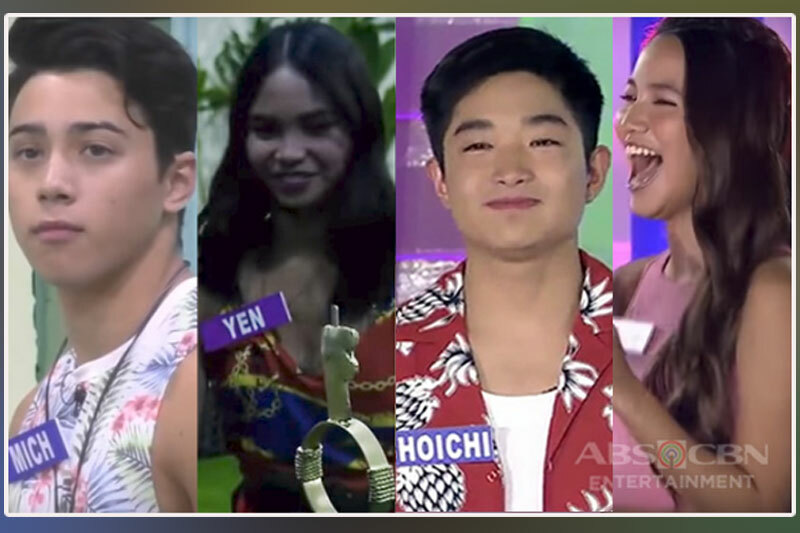 – Lou Yanong, Andre Brouillette, Yamyam Gucong, and Fumiya Sankai – on how their first week in the outside world went. Before presenting the second batch of teen participants, the Boy Star Dreamers’ last night on the beach camp was flashed, in which they’re seen having a mini “Show and Tell”, just like what their female counterparts did. Each one of them received special gifts from their respective moms, except Alfred Beruzil who refused to claim his treasure box after failing in their last task, and imparted the story behind what they got and about their families. 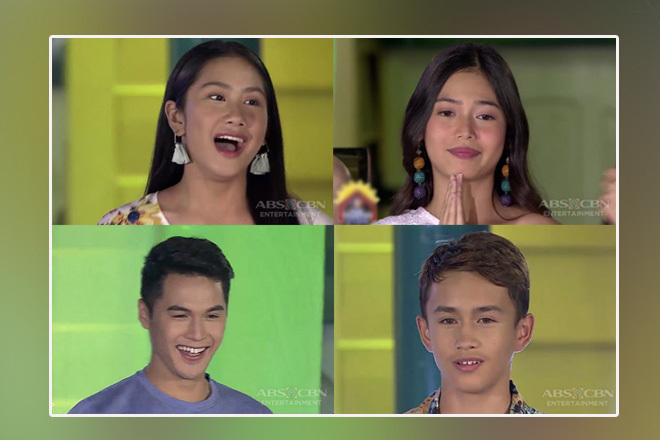 Unlike the previous PBB Otso Teen Edition wherein the hopefuls were able to fight for the spot in the house, the Star Dreamers of the current staging found out their fate by opening a box each with their respective names on it. The owner of the box that contained the PBB Otso logo would be the housemate while the one with the Camp Star Hunt logo would remain a Star Dreamer. The first two aspirants to be called up onstage were the “German Wunder Boy of Leyte” Mich Wunder and the “Fantacoustic Cabalen of Pampanga” Jem Macatuno, with the former being announced as the housemate. Meanwhile, the “Palangi-Teen Dreamer of Camarines Sur” Yen Quirante wasn’t able to hide her excitement and joy before and after being announced as the second teen housemates of the current edition. The “Miss Positivi-Teen of Davao del Norte” Shami Baltazar, on the other hand, expressed her persistence to crossover to the PBB house someday. Because of the leadership skills the “Hataw Hottie of Bataan” Angela Tungol showcased during their Big Island Adventure, Kuya perhaps got impressed with her and chose her to be an official housemate. Although she had to continue her journey to the Camp Star Hunt, the “Munting Bi-Tween of Laguna” Narcy Esguerra still exuded her optimism and bubbliness. The third pair of male teen housemates to be introduced were the “Boy Masigasig of Nueva Ecija” Batit Espiritu and the “Responsableng Rising Son of Japan” Shoichi Oka, but it was the latter who claimed the highly-coveted PBB slot while the latter was sent to the Camp Star Hunt. 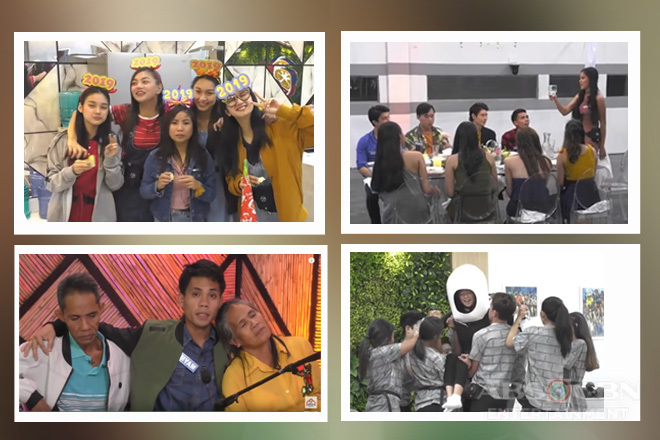 As soon as the first set of Batch 2 Teen Star Dreamers and housemates finally met in the camp and in the house respectively, Big Brother immediately welcomed them by giving them their initial tasks. For official housemates Mich, Yen, Angela, and Shoichi, one of them had to serve as a Human Key – wearing a helmet with an Otso Key attached on top and gold body suit – and should be carried by his/her comrades going to the door locks while passing through various obstacles. Are they going to succeed on their initial challenge? Find out by watching the next episode of PBB Otso!